These Magnetic Stripe Cards can hold about hundred bytes of information within its magnetic storage area. Magnetic Stripe Cards are something to be taken care of. There is no end to technology, and we prove it by offering the special type of Magnetic Stripe Card for you to keep hold on your information and carry them with you whenever you want. No, Magnetic Stripe Card is not a pen drive! We give you a new style of Magnetic Stripe Card that can possibly store digital information in it. What exactly if you’re thinking of? Magnetic Stripe Card includes names, dates, phone numbers, other important numbers, codes, passwords, physical descriptions. Electronic devices designed to read such Magnetic Stripe Card can read the stored information just in touch or swap. 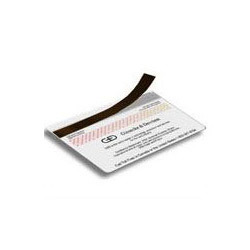 These Magnetic Stripe Cards can hold about hundred bytes of information within its magnetic storage area. Magnetic Stripe Cards are something to be taken care of. Offer your customers with a protective cover to Magnetic Swipe Card at special schemes or discounts.